BJP MP and union minister SS Ahluwalia's name was not announced in BJP's list of candidates on Thursday. With the seat going to polls during the second phase of Lok Sabha on April 18 and an unnamed candidate suggests things aren't well in the hills for the BJP, said leaders. 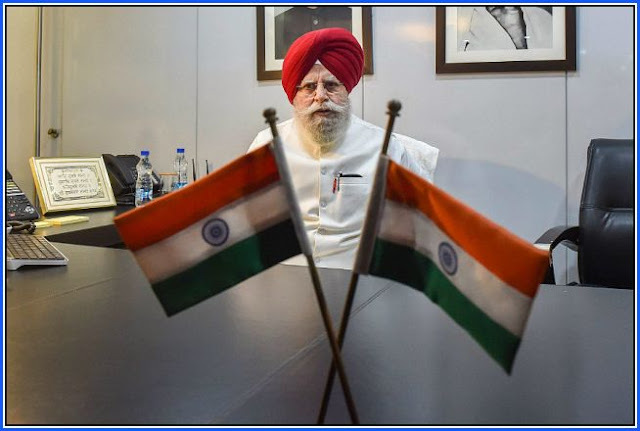 The Minister of State for Electronics and Information Technology, Ahluwalia was elected to the seat with the active support of the Gorkha Janmukti Morcha (GJM) in May 2014. In 2009, Jaswant Singh had won the seat. Key to the BJP's success in the seat has been the issue of Gorkhaland. However, things began changing after the 2016 Assembly elections. TMC has fielded Amar Singh Rai of the GJM faction which yields its loyalties to Binay Tamang, Chairman of Gorkhaland Territorial Council and GJM leader. On the face of it, the 2016 Assembly election results weren't unsuitable for GJM's Bimal Gurung. But its performance in the hills, particularly Kalimpong - historically Gurung's backyard - had the party worried. Even more worrying in 2016 was the move by GJM senior leaders joining the TMC, while Gurung re-launched the demand for Gorkhaland by filing a plea in the Supreme Court challenging the Bengal government's refusal to transfer administrative power to the Gorkhaland Territorial Administration. These changes occurred over and above the tripartite agreement between the state and union governments, and GJM in 2011 which gave GTA its semi-autonomous power and control to administer Darjeeling hills. Banerjee, meanwhile, began a politics of "divide-and-rule", combined with the promise of development. Ahead of the 2016 elections, Banerjee announced a series of development boards for almost every community living in Darjeeling. While the Gorkhas remain the dominant community here, the Lepchas, Limpus, Tamangs, Bhutias, Rais, Dukpas, Sherpas, and Tibetans also form a sizeable population. "This effectively weakened the overall Gorkhaland movement, made it less focused and sharp and this was an advantage for Mamata Banerjee," said a senior TMC leader. In 2017, Darjeeling saw a spate of violence, including the longest ever shutdown of 104 days that brought the entire north Bengal to a standstill. Banerjee, meanwhile, blamed the centre for supporting “anti-national forces.” Eventually, armed forces from the Centre were deployed. The turning point was two bomb blasts in August in Darjeeling and Kalimpong, that killed one civic volunteering and injured two others. A lookout notice was issued against Gurung and his associates under the Unlawful Activities (Prevention) Act, forcing him to abscond. “This brought the infighting within the GJM out in the open. Binay Tamang, and leader Anil Thapa were kicked out the GJM after announcing a partial withdrawal of the shutdown. Tamang declared this expulsion “unconstitutional” and with Gurung still on the run, he solidified his hold over the party,” said a senior GJM leader. Banerjee, meanwhile, announced a series of welfare moves for Darjeeling, while appointing Tamang as the head of the Board of Administrators responsible for carrying out development activities. The GJM faction, headed by Tamang - now the dominant faction has since supported the TMC.